Practice the martial arts with your loved ones! Share healthy habits in having a regular fitness routine, studying positive philosophy and having fun! 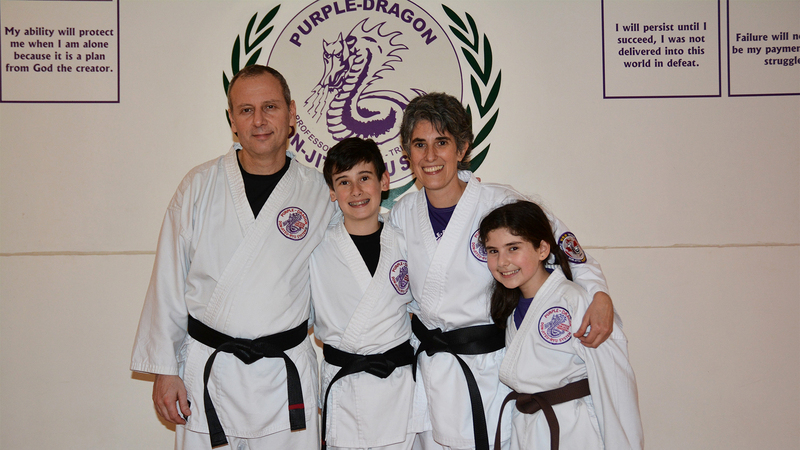 Be a part of our amazing community of families that have achieved their Black Belts together. Inquire about family membership rates for 3+ members. Students can sign-up for the 1x a week Family Class or 2x a week in with an additional weekday class in their age group.